Today everyone from the CEO downwards is talking about designing things to be “Customer-Centric.” And everyone is adding “User Experience Design” to their resume. But do they have “UX” skills and knowledge? Or are they counterfeit UX Practitioners? It is just not practical to have your scarce UX experts evaluate each candidate. So HFI provides a set of multiple choice instruments that give you insights into the candidate’s real capabilities. As an option, HFI provides a design problem that is hand scored and evaluated by our experts. Each test includes 25 multiple choice questions taken from a larger pool and delivered in a random order. The evaluation of the test is weighted based on the importance of each question. So, you have a rating on five relevant dimensions for each test with an adjusted score of up to 100%. 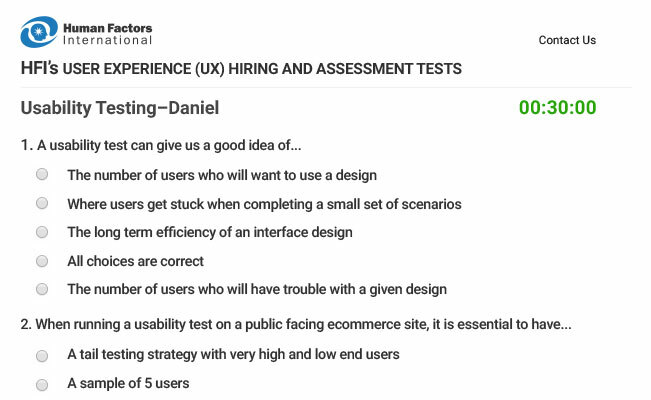 The test measures the applicant’s knowledge of the UX field. A low score indicates a serious lack of familiarity with the core concepts, models, and practices required to work successfully in UX. Upon completion of the test, you will receive a detailed report of the candidate’s results that includes benchmark reference data for scores of non-professionals, workers, and experts in the field. 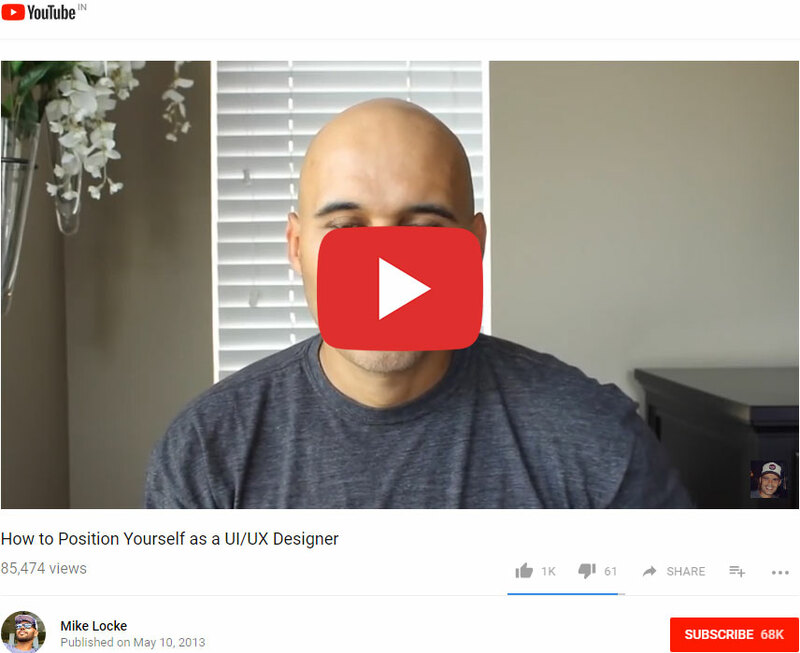 This YouTube video gives 12 minutes on how to lie about being a UX practitioner in a job interview. Data shows average score for college students, working UX practitioners, and experts. This test lets you quickly know an applicant’s real level of qualification. For cases where you want a solid indication of design capability we provide hands-on design problems to clients using our test program. You agree to proctor all tests so that test questions are not copied and distributed. The test is delivered through standard browser interaction. Call Judy at +1-641-209-6825 to get prices and receive your FREE Introductory package with three trial tests (available to organizations with a gross revenue over $100 million/year). You can purchase more tests in packages of 20, 50, 100, 200, and 500 tests. If you would like more information, just let us know and someone will call you!